Blue River International is a global management consulting, turnaround specialist and a full-service recruitment solutions firm. Combining extensive experience, technical skills and comprehensive capabilities, we help clients achieve greater business value from IT. Our breakthrough strategies and transformational solutions build on our consulting expertise and product or department turn around experience. We even assist companies for due diligence during pre-M&A, integrating applications and systems post M&A. Using our product management skills, business and technical knowledge, we integrate the IT department with the business objectives and technical strategies. By supporting business vision of continuous growth, we partner with clients to improve their performance at any stage of a product or software lifecycle. Blue River International delivers turn around consulting, staffing solutions, recruiting services, strategy services and outsourcing solutions across industries. Mr. Jatinder Batra leads Blue River International, where he brings over two decades of extensive business and technology consulting experience to client engagements. Mr. Batra is a senior IT Management executive who has provided significant services to numerous Business-IT alignment, M&A, and IT Project Management requirements with Fortune 500 companies. 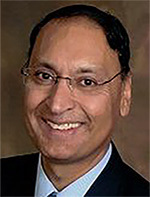 Mr. Batra has worked with clients like TIAA-CREF, Level 3 Communications, Northstar Exchange, AT&T Bell Labs, and Qwest where he has helped clients improve business efficiencies, increase IT relevance, and align leadership and IT management to provide significant ROI. Mr. Batra was responsible for starting the cable industry’s B2B high-speed data cable modem sales with the retail sector. The clientele included partner companies such as Best Buy, Circuit City, Radio Shack, Dell, HP, and media channels like HBO, AMC, Comedy Central and others. This program grew rapidly from zero to a multi-million dollar business in a short span of time. Mr. Batra has spoken at major conferences like Consumer Electronics show and at many broadband and technology forums. He has also taught the much-sought after course, “Best Practices in Managing Dispersed Teams” to packed classes. The classes constituted PMI-certified Project Managers and Vice Presidents who lead offshore and offsite project teams. Successfully leading and advising startup/mid-phase companies as CIO and CTO, and successfully completing industry wide turnkey initiatives including some of the firsts in the industry. Expertise in leading multi-million-dollar software product management initiatives requiring end-to-end business process development, business consultancy and full lifecycle of ROI driven software products and solutions, systems integration and business analytics. Strong ability to develop strategy, roadmap, and key deliverables, ensuring achievement of milestones across business objectives. Strengths in evaluating emerging technologies and leading changes. Highly effective leadership skills, hiring, managing and mentoring cross-functional teams and direct reports and building teamwork oriented departments. Excellent results in developing and sustaining productive client and vendor relationships including managing offshore projects. Process and quality-driven, with applied knowledge of strategic IT planning, application development (SDLC), product and project management standards, methodologies and best practices. I had the pleasure of working with JP at NorthStar Exchange, where he was the CTO and I was the Director of IT. JP is very knowledgeable and a domain expert in many areas of both technology and management. A rare combination... and at Northstar exchange, he used those skills to quickly identify and provide solutions focused to the building of a first class IT department. JP is a strong manager who has the unique capabilities to work effectively with all levels of management, whether it is business or technical, as well as guide significant projects to completion. JP can effectively ascertain business requirements and distill them into technical descriptions that can be fulfilled by IT. Jatinder Batra’s leadership as CTO / CIO enabled our development team to increase our website performance by decreasing CPU utilization from 99% to 30% with more clients added, streamline the applications workflow, and expand our user base from a few dozens concurrent users to several hundred concurrent users. As both Manager and Mentor, JP inspired his team, coordinated our efforts and managed multiple concurrent projects ranging from new development to enhancements to and support of legacy systems.